Featured Seller of the Week on E-Junkie.info! This week, I am proud to be featured Seller of the Week on E-Junkie.info! I had never stumbled upon this website before they contacted me. 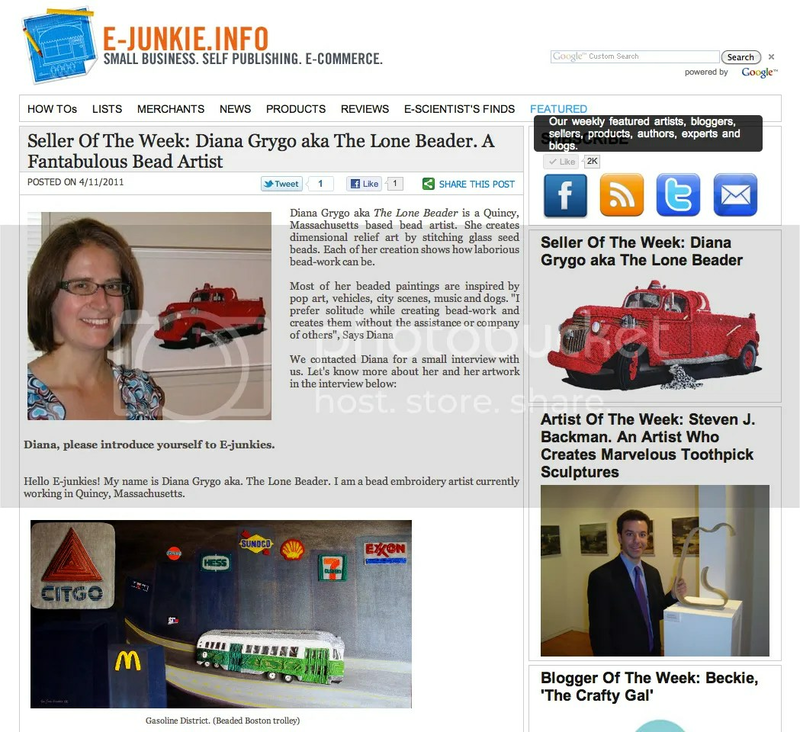 E-Junkie.info is a blog that features small business owners with special focus on self-publishing and e-commerce. I have found this to be a fascinating site & I am honoured that they chose to feature my beadwork! I hope you will stop by to read my interview. Also, check past entries to view some amazing artwork! 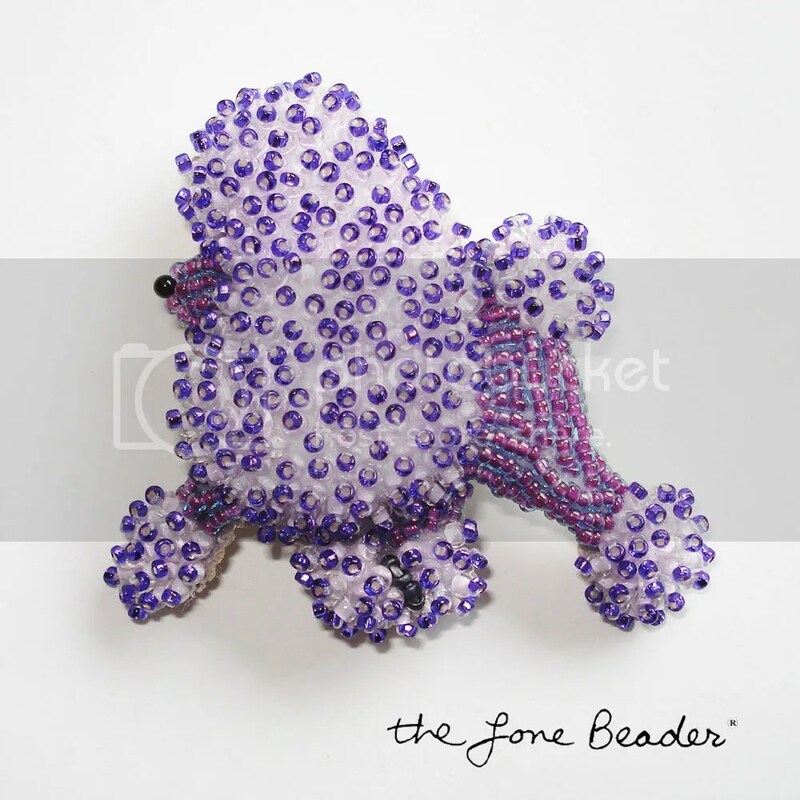 Beaded Purple Poodle Pin/Pendant. Bead embroidery on felt.